Adjustable shelves make these compartments truly versatile. 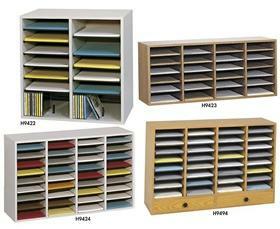 Affordable literature organizers that can be used on a desk, tabletop or as a free standing combination cabinet. 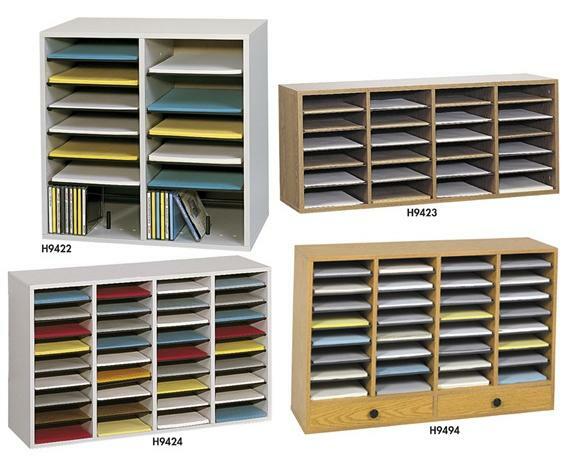 Mix and match units with or without drawers to create the storage system that fits your needs. Constructed from 5/8" compressed wood with laminate finish and a full fiberboard back. 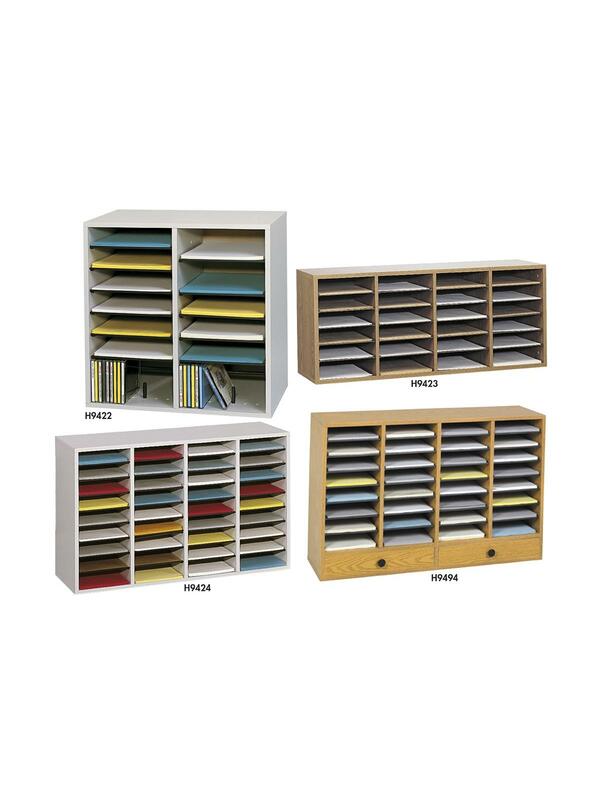 Hardboard shelves form 9"W x 11-3/4"D x 2-1/2"H letter size compartments, adjustable in 2-1/2" increments and a weight capacity of up to 15 lbs. Model H9422 stores CD's on bottom shelf with an adapter rod. The plastic molding serves as a labeling system (labels are included). Quick and easy set up. Available in Oak (MO) or Gray (GR). FOB Shipping Point.